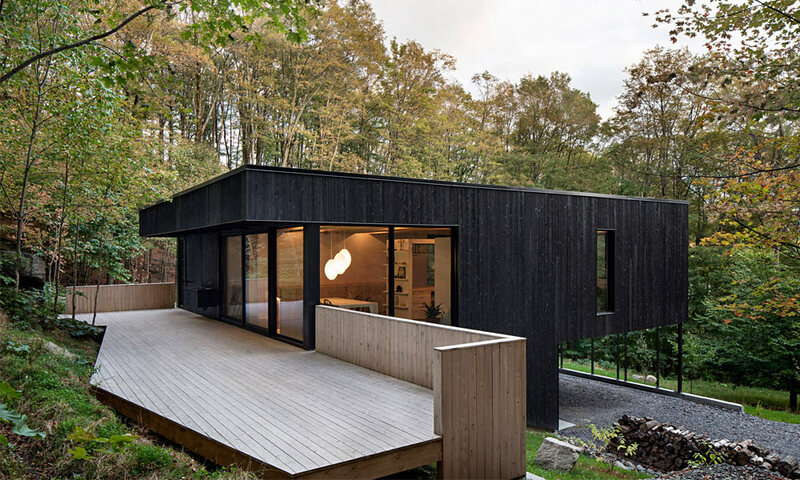 Nestled in the mountainside in Quebec is a home constructed by Atelier Général that’s clad in all black. La Roche (“The Rock”) is a retreat that blends incredible views with a motif best suited for a Bond villain. The two-story home is built into the sloping ground, with a back patio that gives way to trees and grass that climbs above the dwelling. A gravel car port keeps whatever British sports car said villain is driving protected, while interior appointments are sparse and elegant. They include a free-standing tub, floor-to-ceiling windows to take in the view, and a wood-burning stove to keep warm during those Canadian winters. Even if you aren’t looking for a little reprieve from hunting 007, La Roche is nice to look at.